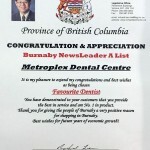 We’re very proud to have been chosen as “Favourite Dentist” on the Burnaby Newsleader A List. 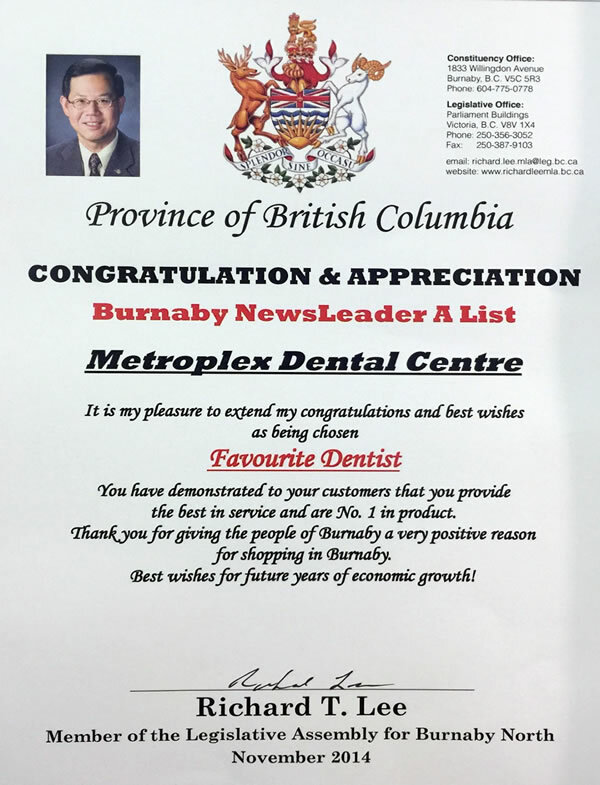 See our congratulations from Richard T. Lee, MLA for Burnaby North. This entry was posted on December 1, 2014. It was filed under blog .